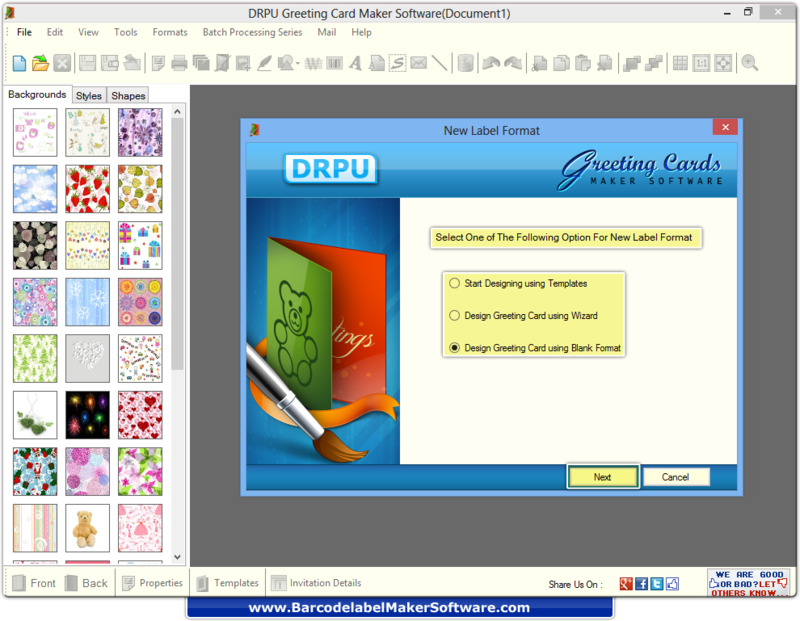 Select one of the following options for New Label Format. 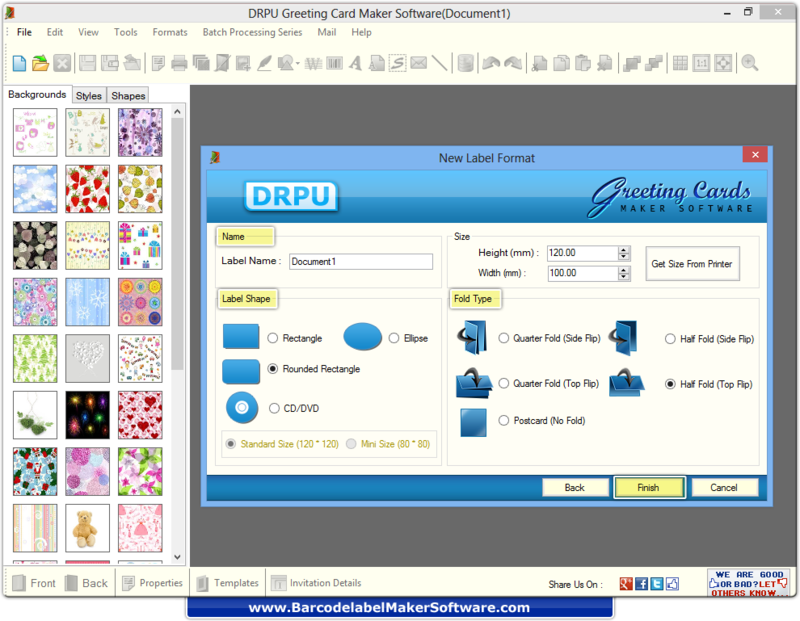 Here “Design greeting card using Blank Format” is enabled. 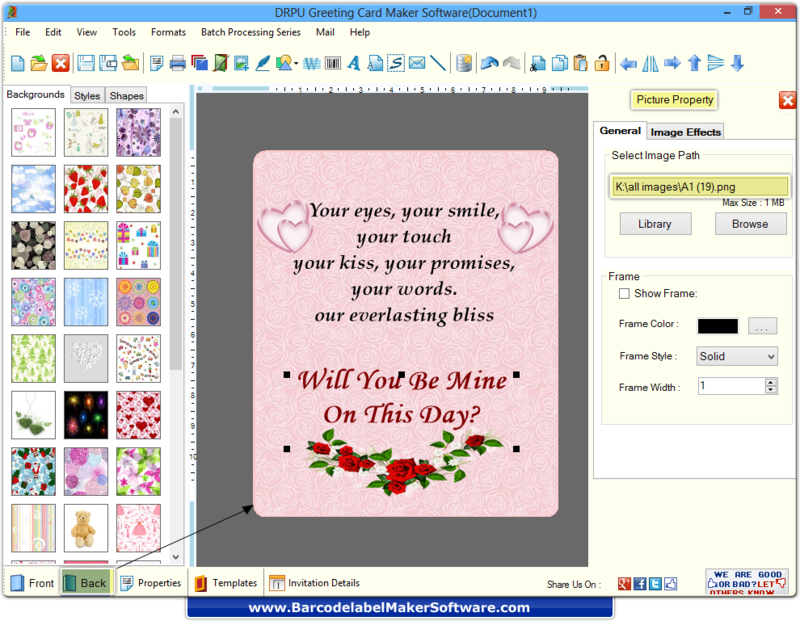 Specify Name, label Shape, Size and fold type as per choice then click on “Finish” button to continue. 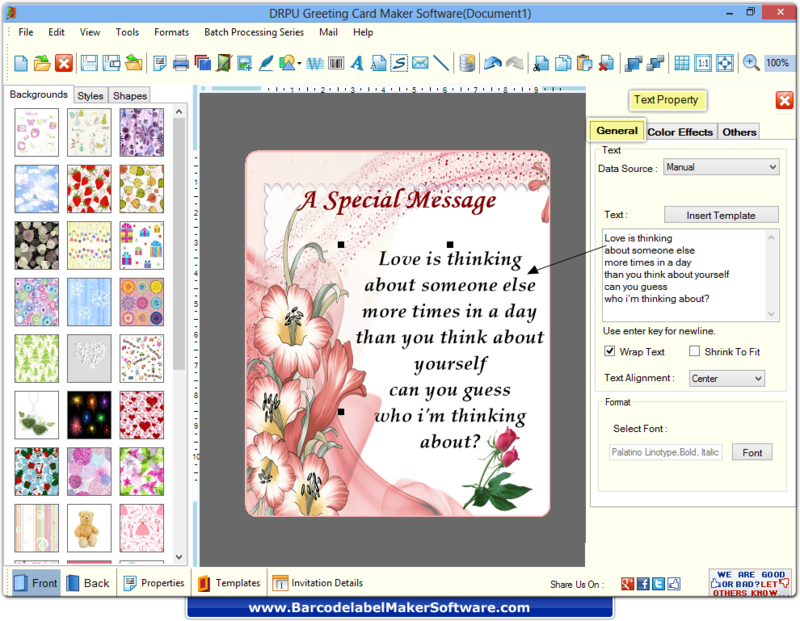 Enter text on greeting card, set font and specify color using text properties. Insert image as per your choice from library or browse from local disk from picture properties.